Money is always the problem when we need to buy something expensive. People would definitely want to buy the best possible garage door and they may save for a long time before they do so; though, the most expensive choice is not always the best choice for one's home. You can be happy and secure with a much more inexpensive solution as long as the characteristics of your new garage door fit your requirements. Initially, you would need to know the exact dimensions of the door and put limitations to your budget. Though, before the day of garage door installation arrives, you should decide upon certain things. 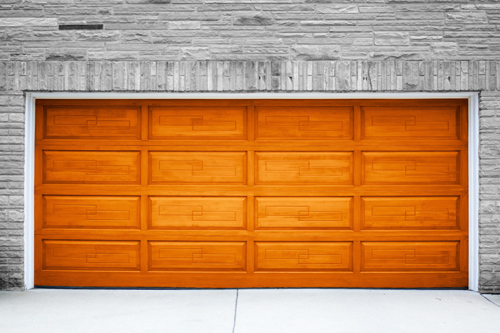 Do you need to replace the garage door or more parts? How old is your mechanism? Are the garage door parts in good condition? These must be your first questions because you may need to change completely the whole system if it is dated many decades ago. Most of the times, garage door panel replacement is sufficient, but you must make sure that the characteristics of your new door must match the characteristics of the old one. If you switch from aluminum overhead doors to wooden ones, which are much heavier, for example, you will need to make further changes to ensure the stability and good performance of the door. The garage door springs must be strong enough to hold the new weight and the opener must have enough horsepower to control the movement of the door. Do you care for appearances or functionality? If you have the money for both, it would be great! Though, between the beauty of the wood door and the insulated metal doors, you should choose the latter. The garage door prices vary, but if you must replace the current door, you may as well pay something extra for its insulation since it will affect the whole house because you will get your money back through the reduced energy bills. You must always take into consideration the weather conditions of your location since the climate keeps changing and if you are in a hurricane-prone area, you should know that there are special materials for these special situations that will keep your house together when the tornado will strike.